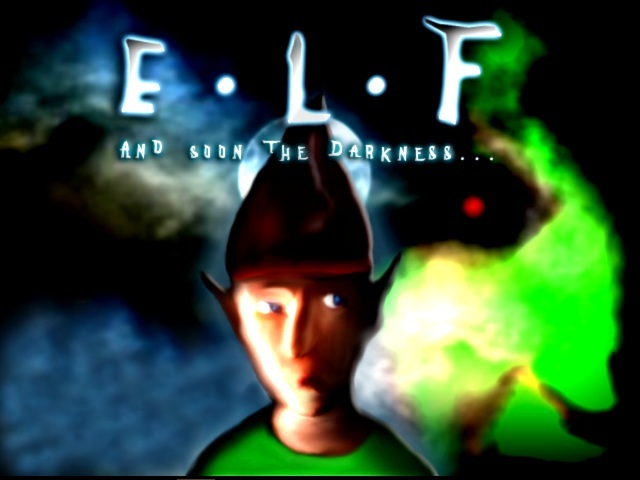 FULL GAME ELF: And soon the darkness... First in the series My thanks to all those that helped in the making of this cult game. The arrival of a Witch shakes the once peaceful and joyful land of Elfenor. The Witch's minions' attack brought a grim silence to the town folk. Both its leader and citizens were unsure of what the future would bring to them. And so, refusing to accept defeat, the bravest of the elfen community, Elfie, would step forward and try to bring an end to the terror of the wicked Witch... Solve problems and tasks and then finally face the evil witch for a dramatic finale!! This game will be constantly updated and revised. 16 bit colour 640 x 480 resolution DirectDraw 5 Zipped size: 69.92 mbs ELF: And soon the darkness... 4.00 - SOFTPEDIA "100% CLEAN" AWARD This product was last tested in the Softpedia Labs on 14 December 2012 by Cosmin Anton Softpedia guarantees that ELF: And soon the darkness... 4.00 is 100% Clean, which means it does not contain any form of malware, including but not limited to: spyware, viruses, trojans and backdoors. http://games.softpedia.com/get/Freeware-Games/ELF-And-soon-the-darkness.shtml If you like this game then DO watch out for ELF's next adventure: The 4 elements. Beta testing, Intro text, Splash and Credit images. The puzzles were for most of the time well-thought and logical, the only one I didn't get was the door column math puzzle which I eventually solved by guessing. There's also some tonal dissonance issues as while the atmosphere mostly is this uneasy, kind-of-dark fairy tale it can get surprisingly gruesome (special mention goes to the golden gate puzzle near the end). Characters didn't leave much of an impact but to be fair it probably was not this game's point. All in all the first ELF game was all right. I enjoyed this one. It's definitely worth a try! Enjoyed playing this game through, a good selection of puzzles to keep players on their toes. Good atmosphere to the game and some great music to back it up. And let's not forget some of the colourful characters Elfie meets along the way. Look forward to his next adventure! FULL GAME NOW UPLOADED..... Download now! This chapter was just a taster and all bugs found are now sorted. Please wait until the full game is released! Meanwhile just ignore this one. The potential is there. Scene set well with the music/fx to create atmosphere. The puzzles were different and well thought out considering. Definite potential to create something interesting in the coming chapters.